News | Page 2 | Smith & Loveless Inc.
Lenexa, Kan. — Smith & Loveless invites media and show goers to see and experience S&L' pumping, headworks and treatment systems like never before -- at Booth No. 2017 at WEFTEC.17, Sept. 30-Oct. 2, at Chicago's McCormick Place. 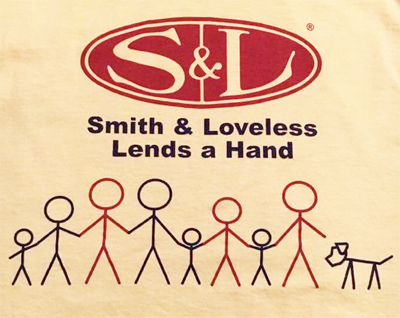 Smith & Loveless employees volunteered their time and muscles to lend a hand to the City of Lenexa's Parks & Rec department. LENEXA, Kan. — Smith & Loveless announces the next milestone in the company’s storied history of pumping system innovation: the shipment of its first EVERLAST™ Wet Well Mounted Pump Station.